The statistic represents the U.S. natural gas imports from Qatar between 2000 and 2016. 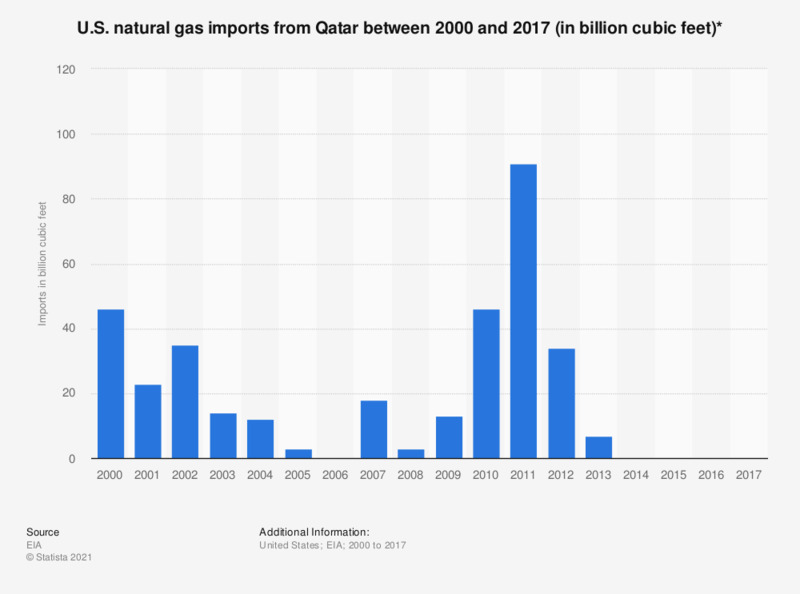 In 2000, the United States imported a total of around 46 billion cubic feet of natural gas from the OPEC member country, but as of 2017 the U.S. has not imported any natural gas from Qatar. * As liquefied natural gas.